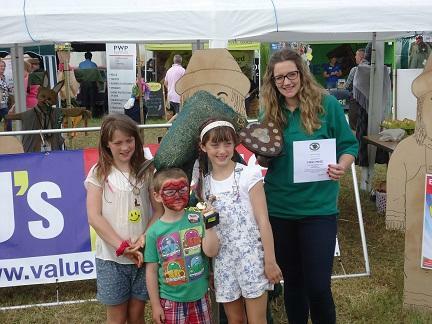 Wonderful success again this year at the North Devon Show, held in August! We received 186 votes for our 'Strawasaurus' created by the Saltmarsh Family! Well done Thalia and Jack! Thank you to everybody who kept their scarecrows alive between May and July; they made a wonderful display! BJ's Value House kindly sponsored the competition and our school has been awarded £100 worth of vouchers from BJ's, which will be used to develop and enhance our garden and outdoor areas. Thank you to the Grayling children for accepting the trophy, certificate and award on the our behalf!